Thanksgiving is an emotional holiday. 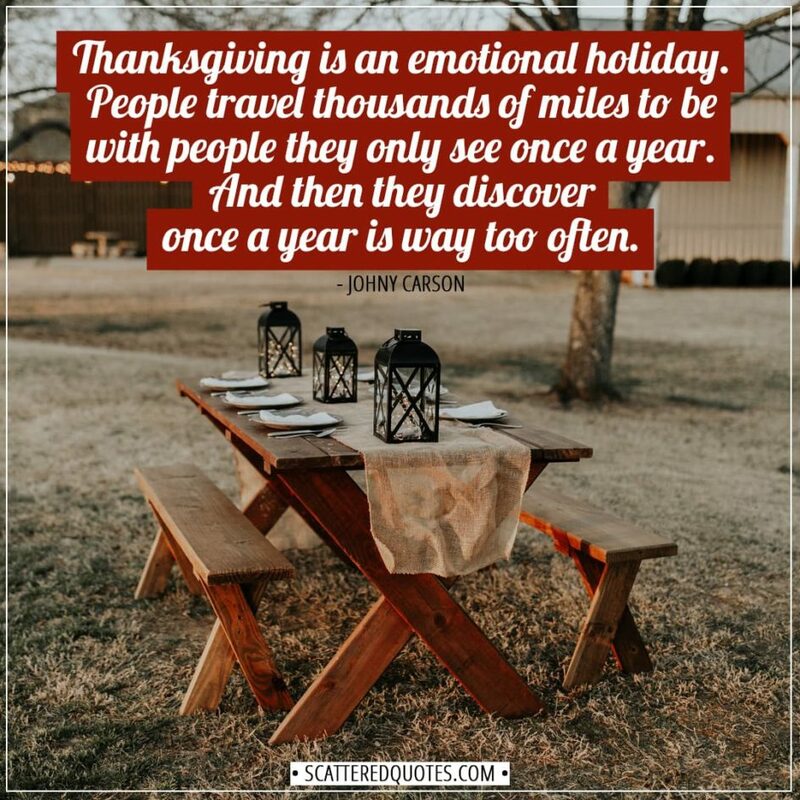 People travel thousands of miles to be with people they only see once a year. And then they discover once a year is way too often. 7.11.2018 Thanksgiving is an emotional holiday.